As early as the Ancient Egyptians, herbs have been used as remedies for a variety of conditions. Originally, trial and error and keen observation were the methods older civilizations used to practise their herbal skills. Today, the approach is more organized with research playing an important role. The Chinese and Indian cultures relied heavily on herbal treatments. In China, now, there are schools of herbal medicine and herbal dispensaries in hospitals. Today, in the UK, you will find herbal dispensaries in large shopping centres. Most people will have heard of Ginseng [the most famous plant in China used for health remedies], Evening Primrose Oil and Aloe Vera. These are the most commonly used remedies but there are many more that can be used in their dried form, as oils, capsules or as herbal infusions. Ginseng is the most well-known remedy and has been used as an all-round cure. It is used to strengthen the immune system and stimulate the nervous system. Each person responds individually, depending on their particular needs. It is said to have either stimulating or calming properties. As its name suggests, Siberian Ginseng originates in Russia and is less well-known that its Chinese counterpart. It is used as a tonic to improve general health. The fatty oil from the seeds of this native of North America is taken in the form of supplements that are commonly used to treat Eczema and premenstrual tension. The spiny leaves of this succulent produce two forms of aloe vera. Aloe vera gel is used externally to treat skin irritations and minor burns. Many believe that skin can be healed by the gel. Aloe vera juice is also produced from the plant and this is used as a tonic. Consuming the juice is not a proven remedy. Many more easily available herbs are used to help a variety of ailments often as a last resort, or as an alternative to prescribed medicines. Basil is used as an accompaniment to tomato dishes. It is also a natural tranquilizer and helps to calm the nervous system. It is used to help stomach cramps and digestion. Bay helps to stimulate digestion. It is used as a seasoning in bouquet garni and in soups and stews. The fragrant coriander leaves are often used in curries. It is thought that coriander helps the stomach and the heart as well as treating urinary tract infections. You may recognise the distinctive feathery leaves of fennel. They taste like aniseed and are used in sauces for fish. Both the seeds and leaves can be used to help digestion and to help prevent excessive wind, insomnia, nausea and vomiting. Mint can be used in both savoury and sweet desserts. It is the most usual accompaniment to lamb dishes but can also be added to sweet cheesecake recipes. It helps digestion. A cold can be relieved by taking a mint infusion. This widely used herb is one of the most nutritious garnishes as it has both vitamin C and iron. It can acts as a breath freshener after eating garlic. Rosemary is also used in lamb dishes. It is supposed to act as a stimulant to the nervous system and the circulatory system. It is thought to aid indigestion and flatulence. As a rosemary herb infusion drink it may relieve nervous or tension headaches and colds. A sore throat may be soothed by rosemary as a gargle. Sage tea and sage capsules are popular products to help excessive sweating and hot flushes. They are an alternative to using hormone replacement to ease flushes. Some women have found relief from these uncomfortable menopausal symptoms. This is a very aromatic herb. An infusion can be used for coughs or catarrh. 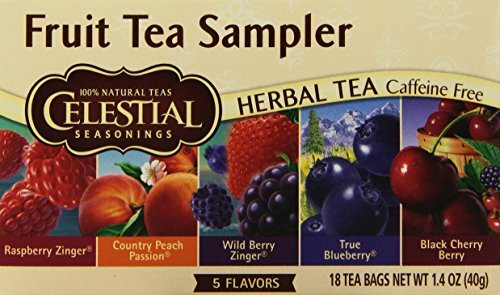 Herbal Infusions [Teas] - An alternative to your popular breakfast tea! Credit: MorguefileHerbal teas make a good alternative to ordinary tea and coffee. These milder flavours and caffeine free teas are much gentler on sensitive digestive systems. Basil tea is thought to be drunk to relieve nausea. Camomile tea drunk before bedtime is said to help to relax and calm you and is helpful in the relief of insomnia. It might be helpful to those suffering from colds and flu and sinus problems. Peppermint tea is usually drunk after a meal and eases nausea and reduces wind. Raspberry tea is taken to have a calming effect on you. Rosehip tea is a good source of vitamin C.
Green Tea is a popular health drink, too. Read Green_Tea_The Miracle_Tea to learn more. Credit: MorguefileIt is advisable to dry your own herbs, if possible, so that you can use them throughout the year. To have your own supply is not only more convenient than having to go out shopping, but it will also be cheaper. As soon as the herbs are harvested it is advisable to begin the drying process as they will begin to lose their medicinal properties. An airing cupboard is an ideal place to dry them as it is warm, dry, dark and well ventilated. Make up small bunches of bay, rosemary, sage and thyme and hang them with stems upwards. it is a good idea to place a large tray underneath the bunches to catch the brittle leaves as you rub them gently off the stems. Larger leaves, like basil,can be spread on muslim which has been stretched on a frame so that air can circulate. If a recipe suggests a tablespoon of fresh herbs, use only a teaspoon of dried herbs as they will produce a more concentrated flavour. An easy way to store herbs, other than in tightly fitting containers, is to freeze finely chopped herbs in an ice-cube. Use about a tablespoon of herbs for each cube. When you are ready to add it to your saucepan or casserole then simply add straight from the freezer. What could be more simpler? Herbs are around us every day. You'll find them in the supermarket, at the garden centre, and, best of all, in your own garden. If you are able to grow and dry your own you should feel very pleased with yourself, especially as you will have saved some of the housekeeping budget! There are never any hard and fast rules for the success of herbal remedies. It is very much the case of whether an individual responds to the herb. Some people report more success than others but it may always be worth trying a particular herb. Often a trial needs to be for one or two months, at least. Thanks for the advice, Venkatoo1. Good article. Frozen herb cubes are a good idea. Great article. I love natural remedies things. Its one of my favorite topics to write about. I use many of these herbs on a regular basis. Nice article. Aloe Vera a multitude of uses. People forget that it is nature that gave us a lot of modern medicines. I love this article and think it is also great how you add the tips also. Thanks, Ddraig, for your lovely comments.